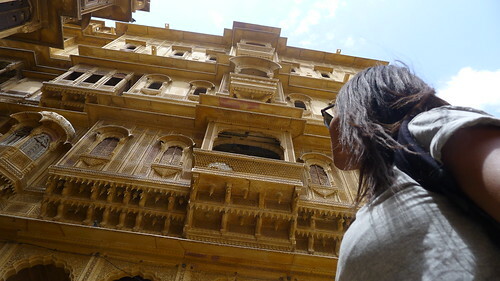 Adventure called, so we left our awesome digs in Bikaner and caught an early morning train to Jaisalmer also known as the Golden City. 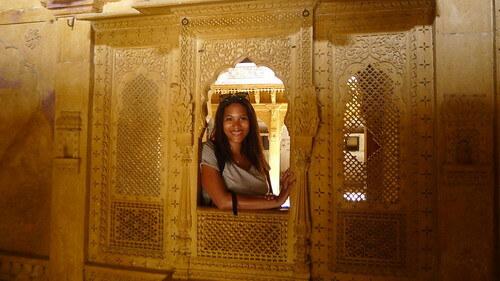 It was an interesting 6 hour journey across desert landscapes and stopped in several small towns along the way. 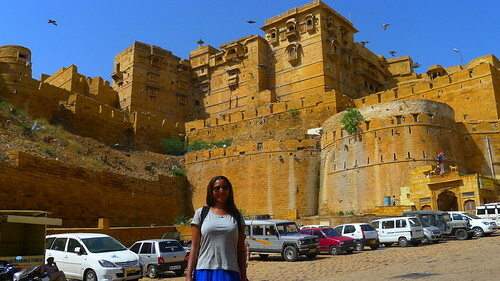 We arrived in Jaisalmer midday, just as the heat and sun started to get unbearably hot in the train. 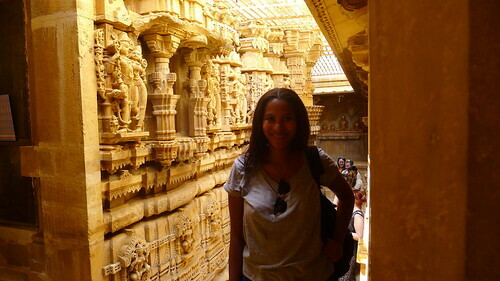 Our hotel, the Mahadev Palace, was nice enough. 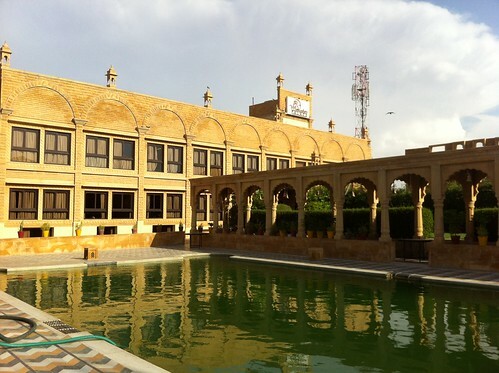 The rooms were much more basic than the ornate style of our Bikaner hotel, but it had the basics and was a decent budget hotel option. The group was especially excited it had a pool, but the water was a little too thick looking for me; gorgeous nonetheless. 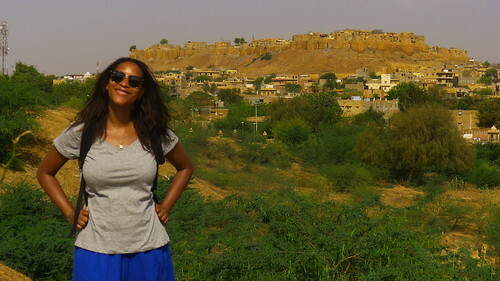 After checking into the hotel and having a rest we went into town and had dinner on the rooftop of a haveli overlooking Jaisalmer Fort and watched the sunset. It was a fantastic meal with a great view and perfect for our first night in town. 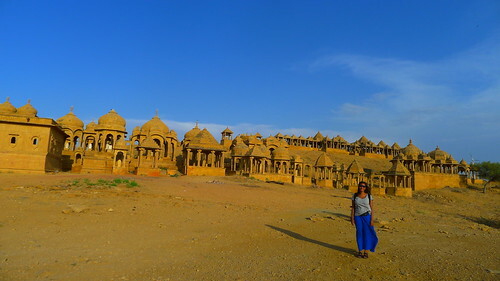 The next day we had an awesome tour guide, Poori, who took us to the lake and showed us around the living fort of Jaisalmer. 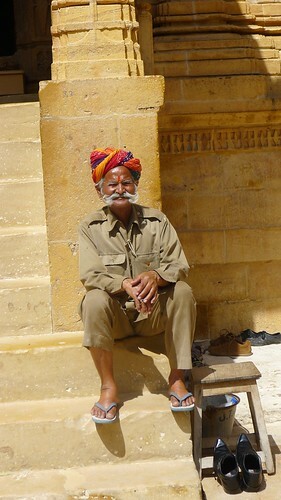 He was very knowledgeable and a great storyteller. 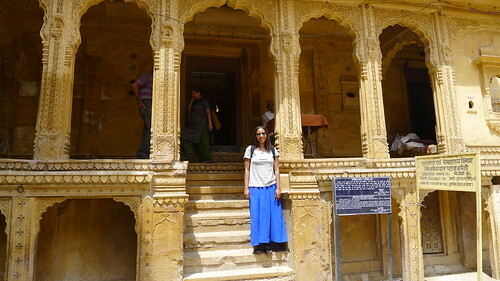 We followed him through the narrow golden colored streets of the fort to a Jain temple. 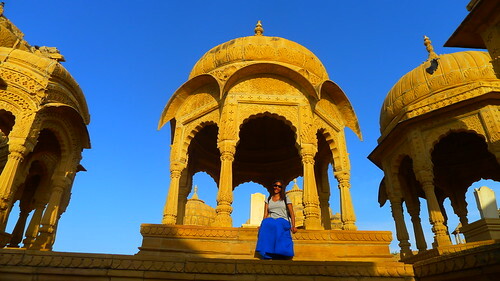 For lunch we went to a rooftop restaurant that had great views of the rest of Jaisalmer then rode tuk tuks through the tiny streets of the fort and marveled at the intricate architecture of the fort buildings. After the sightseeing, Poori took us to a textile maker where they sold pashminas and bedcovers and a local silversmith to do some shopping. 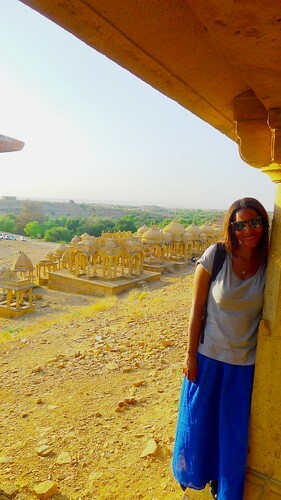 In the early evening we went to Bada Bagh, a garden complex outside of Jaisalmer, to watch the sunset. 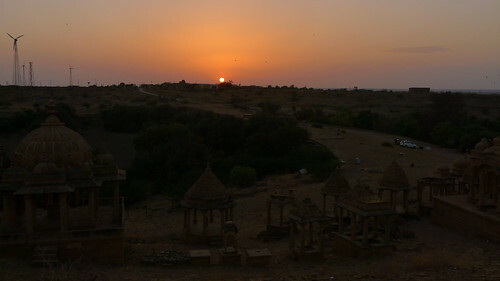 Sitting on the Chhatris we had a stunning view of a lovely sunset. 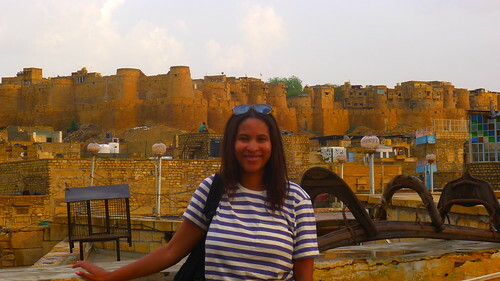 Dinner that night, was at another rooftop restaurant overlooking the fort. 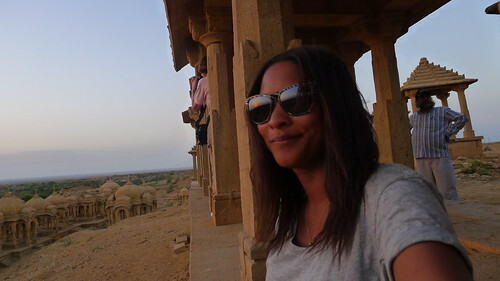 It was an action packed day and we had another morning of getting up early to catch transportation to Jodhpur so called it an early night after dinner.